2 months ago we posted a little thing about YahZarah's album out of Phonte & Nicolay's Foreign Exchange Music label. Soon it's time for another FE artist to release his work, the great singer/keyboardist/producer Zo!. His album 'SunStorm' dropping a month from now, on july 27th. The lineup include Phonte, Eric Roberson, Darien Brockington, Jesse Boykins III, Sy Smith and many more! You can find the good-looking coverart HERE. We are huge fans of Zo! and all his previous work, and we have been eager to hear this record all spring. 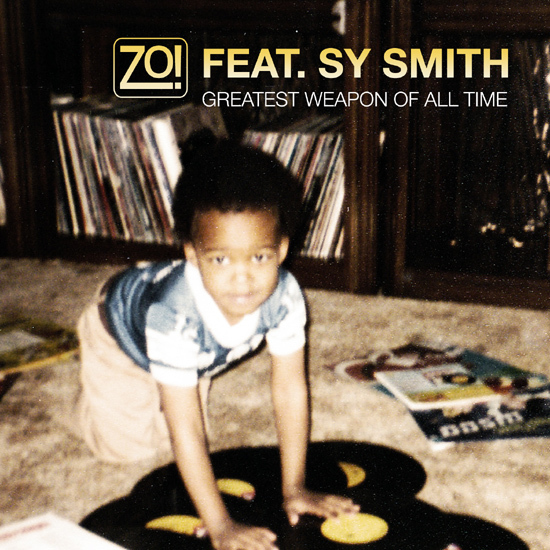 The first single isn't out yet, but here's another treat from the album, 'Greatest Weapon Of All Time' feat. Sy Smith is up for grabs! "Well y'all, the six-week plan is now officially underway. Here is first sample of the album that you all have heard me talk so much about. Sy came through and did her THING... I am this close to posting the story behind how this joint came about, but I'll save it.... Not unless y'all want to read it. Anyway, enjoy this one and thank you for listening." UPDATE: First single is now out! 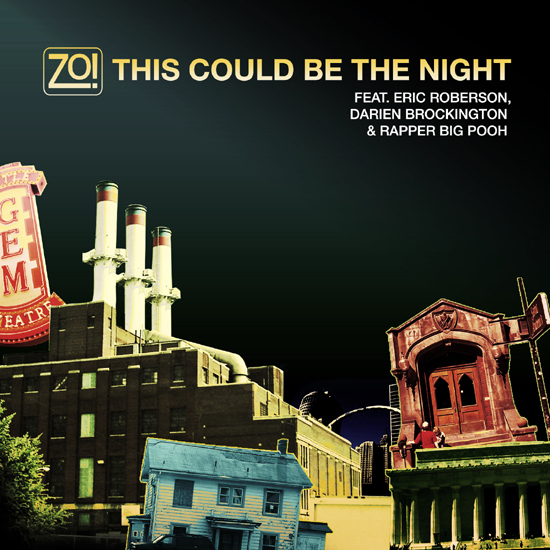 'This Could Be The Night' featuring Eric Roberson, Darien Brockington and Rapper Big Pooh. A bouncy, two-step groove! Cover HERE. Beathearts Exclusive. About three weeks ago we dropped the bomb about Oscar Sharp's new release 'Songs In The Tree Of Life'. The album is gonna be out fall 2010. We now have the first single in our hands as a free download! It features Christian Walz on the vocals and it is a really soulful track. Lovenotes are Kendal Görgü & Andreas Cavaco. Back in 2006 they released the fantastic track 'Diamonds'. A real funky electronic soul-tune! They were featured in the now buried swedish hiphop magazine Quote were they did an interview, and Quote predicted that they were the new praise in Sweden. After the track the went separate ways and been doing different stuff. More on that on a later note. We'll see if we in future get something else from this duo. But for now enjoy the download! Allright, we wrote some time ago about 'What's Not To Love', the first single from Detroit crooner Andwele Gardner's new album 'W.ants W.orld W.omen (W.W.W.)'. Since then two new tracks have been leaked, the rhythmic 'I Wish' and the Slum Village featured tune 'How I Deal'. Also some short commercials been shown. The album is out soon, with guests like Slum Village, Monica Blaire, Raheem Devaughn, Lloyd Dwayne, David Banner and DJ Quik. It is to be released the day after tommorow, june 29th and it's really smooth thing, as everything Dwele touches! Dwele recorded a demo in his bedroom called 'The Rize' in the beginning of 2000, and sold it out of the trunk of his car. He had about 100 copies, which sold out within a week. Slum Village spotted him and invited Dwele to sing the hook of the song 'Tainted' for their album 'Trinity (Past, Present and Future)'. It became an instant classic.. Dwele signed to Virgin Records in 2003, who released his debut album, 'Subject', one of the best albums in neo soul. A second album, 'Some Kinda...' followed in 2005, and the third 'Sketches of a Man' came out in 2008. As a bonus we share this little treat with you'll. This is one of the best Dilla-tribute we've seen the last couple of years, arised on the net about 2-3 years ago.. Only one and a half minute long but with such love. Fantastic medley from Dwele. Finally something that you might not have heard. Dwele as Johnsmyname. A myspace-thing Dwele did some time back were he speeded up and pitched up his voice and recorded just a few tunes impersonated his son trying to find his dad played by Dwele. This is some good stuff that's been on heavy rotation since some years back. Black Monk of the Poo-Bah Fam released the 12 inch 'Monkmusic' in 2006. Only 500 were pressed on the vinyl, so chances are you've never heard of this sublime piece of westcoast downtempo. 8 tracks deep, this is exactly what you'd expect from the super-consistent Poo-Bah records: beats, texture, and production finesse. Black Monk did the 'Day & Night EP' together with Ras G back in 2004. He has since then offered a live instrumental on Plug Research's compilation 'Sound Of LA Vol.2', also the 7 inch 'Northern Lights' in 2009 and has future releases scheduled. He's been doing session work with artists like Ras G, Ta’Raach, Take, Kutmah, Sacred, and Snoop Dogg. Black Monk along with Ras G and Ron Stivers are the founders of the Poo-Bah Label. Poo-Bah also been releasing some other heat: Ta'Raach's 10 inch 'Raach City Riot' with 2 banger beats and the all intrumental beattape from SA-RA mastermind Shafiq Husayn, 'Shafiq presents Jank Random vs. Earl Leonne: The Frequency Clash', but more about him on a later note. A lot of tunes in this post, but we felt we should show you a couple of tracks.. Purchase the EP digitally HERE. 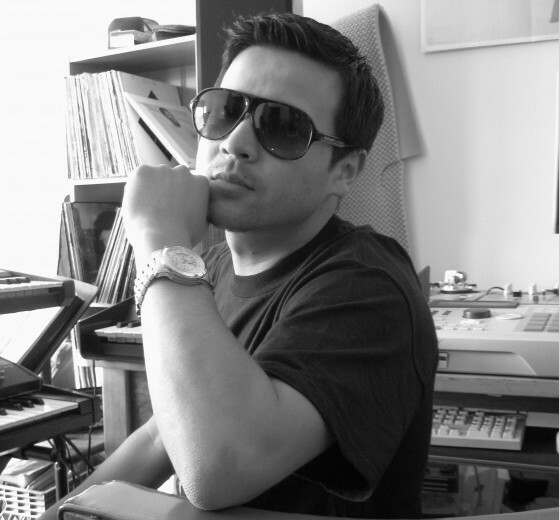 Beatmaker B. Bravo was recently picked up by Gilles Peterson for his Brownswood Recordings label. He's gonna be featured on the ‘Brownswood Electr*c’ LP that drops 28th of June on the label. The song is called 'Computa Love' and we have it for your listening pleasure below. Liquefied analog tinkling and weighty snare smacks. Artificial sensuality at its finest. B. Bravo originally from Seaside, California, but been living in San Francisco for about 10 years. His music is inspired by artists like Roy Ayers, Herbie Hancock, Mtume, George Clinton, Battlecat and J Dilla. The music is "future-funk", soulful chords and melodies with heavy drums and bass. He's got 2 digital EP's out, the first 'Analog Starship' came out last year and has been spinning like crazy the last couple of days. The second 'Computa Love' dropped this february and features 4 beats with the same energy as the first. Both EP's were released on Frite Nite. We also give you B. Bravo's really funky remix of Approach & Reggie B's track called ‘Watermark’. This is one of our absolute favorite tracks in some time! If you want the whole 12'' head over to bandcamp and get it for free. Listen to his Post-RBMA Big Up mix and download it for FREE. Dim the lights. You’re in for a ride. Jay Scarlett in team with Onur Engin has (so far) brought us two volumes of the marvelous Maverick Sessions beatseries. The first volume dropped last year and featured great beats from beatmakers like Busy, Reggie B, Erik L, Knxwledge, artists that previously been highlighted in the Beathearts Blog. We give you our favorites from the first tape as well as a sampler from the second volume. The second volume came out just now and containes some more beats, all of which are out of this world. We especially like eLan's track, that kicks of the tape. But there also fire from Onra, Devonwho and some more underground cats. Check them all below. Always in search of new talent, the series focusses on hiphop/electronic beats from untapped skills. Get ready to discover the blend of dusty sample selections with up-tempo crunkness and melodious synth patches. Available at Juno for a small penny! Benny Tones is a Wellington-based producer/DJ/audio engineer and the official sound tech for Electric Wire Hustle. The group dropped their self-titled LP in 2009 which featured some nice names, like Dudley Perkins, Georgia Anne Muldrow and Stacy Epps. The group consists of David ‘TaayNinh’ Wright, Myele Manzanza, Mara TK and Benny Tones. It's a future soul sound that has the spirit of Marvin Gaye and Funkadelic with the more modern feel of J Dilla, PPP and SA-RA. His solo album 'Chrysalis' was recently released on Evert Waking Hour. This is really a stunning piece of music! Deep, ambient, soulful blend of hip hop and funk, taking the soul of Electric Wire Hustle with some of NZ's finest vocalists and musicians. It features a whole bunch of guests, including Mara TK and Beathearts favorite Joe Dukie from Fat Freddy’s Drop, another great New Zeeland group. On 'Chrysalis', Benny Tones shows off his impressive songwriting craft alongside his silky production skills. Thick drums and percussion layered with synth lines, hints of Fender Rhodes and nylonstringed guitars that will have your neck snapping! Ok, this will be the last Roots post for a while but we had to share this one with you. 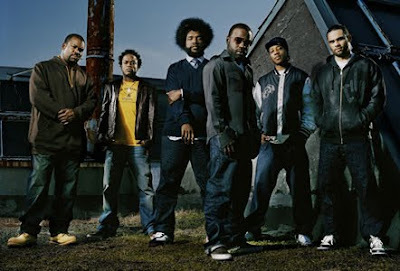 Last year the Roots crew signed on as house band for the Late night show with Jimmy Fallon (of Saturday Night Live fame). A few weeks back Ice Cube was on the show and performed the classic N.W.A. track Straight outta Compton backed by the live band. We're well aware of the Roots crew's skills but this one blew us away. We especially enjoyed the fact that they brought a tuba player (!) into the action. Enjoy. 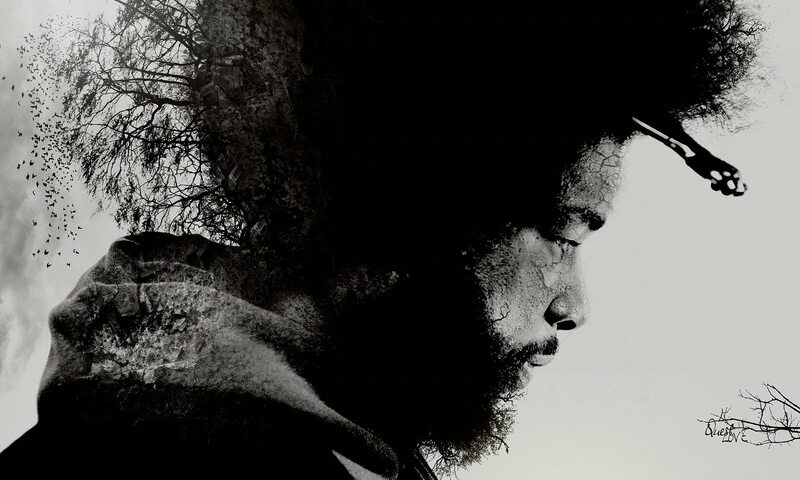 Here's another track from the upcoming Roots' album How I got over. Releasedate is June 22nd and we haven't been this excited about a new Roots release since...well ever! 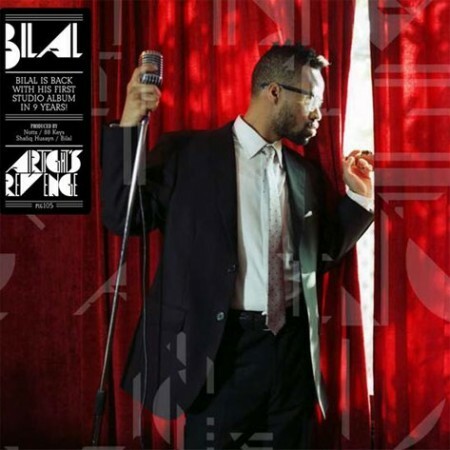 Since some time back there's been word of Bilal's album finally nearing a release. The first official studio album from the man in 9 years, called 'Airtight's Revenge' and will be out September 14th via Plug Research. Production from Nottz, 88-Keys, Shafiq Husayn of SA-RA and Tone Whitfield. So, in the meantime the people over at Plug Research put out this free download to ease our minds.. The track is a pretty funky uptempo ballad, Nottz produced song. It will not be on the upcoming album. Just learned about this dude Chanes. He put out his new beattape two months ago orchestrated by fellow detroiter DJ House Shoes. It is some dope stuff, and you can get it for free over at his bandcamp, where you'll also find some other goodies! In other projects Chanes been working with underground Detroit artists like Royce Da 5'9'', Miz Korona, Kurupt, Moe Dirdee and Chief to name a few. The tape is rooted in hiphop, with a lot of heavy beatdriven headbangers, but the sound is trippy, ambient, therapeutic and surreal. The tape starts off with a great remake of Karen O's 'Hello Tomorrow' tune. Though we especially like the sample of Aphex Twin's 'Windowlicker' tune on the 'Frequency' track, really difficult to do something good with that strange masterpiece..
"An Experiment in Instrumentation is definitely one of the stand outs among the beat tapes in my opinion. There is not many words to describe the tape. There is also no lane it can be categorized in. Its a step in a new direction. A step of growth in my production. And most importantly, it's new material for my people. Enjoy, and all feedback is appreciated." Mid-ninties was the golden era for Mo'Wax which for us was one of the starting grounds for the kind of music we present in this space. Experimental beats with a soulful touch, mixing of styles and the fantastic coverart from Futura 2000 which still today makes them collectors' items. We've been planning on writing something about Afta-1 since we started this blog. Now's the time, with his latest album 'F O R M', released 21th of April 2010. California's 'cosmic conductor' Afta-1, now based in Brooklyn, part of the GAS'D clothing movement, and one of the biggest talents amongst today’s beat generation. He's drawing inspiration from Sun-Ra and Flying Lotus alike, but speaks in his very own language. The music is cosmic, laidback splashy beats, not really hip hop, not really soul, but a uniquely sound that's on it's own. His debut album 'Aftathoughts Vol.1' was released on Circulations, which we wrote about some time ago, and enjoyed heavy support by Benji B. He's been featured on the 'Love Is Real' mixtape installment, which is now up to 4 volumes. The vision for AFTA-1’s 'F O R M' release, was to transcend the idea of being a "producer" and really any title that we as creators limit ourselves to. True love for art lies in the freedom to exist and create freely through whatever medium feels right. To acknowledge that the only boundaries ever present, are the ones we put up ourselves. F O R M, like LOVE, is infinite. That being true, Afta-1 was inspired to create a piece of art inclusive of more than one sensory dimension. Something to see, something to touch, something to keep, a physical interpretation of the same LOVE energy that created the music. Got a hot tip in our mail just now.. Oscar Sharp working on a new project! This is a best kept secret, special post for ya'll from the Beathearts Blog! Look out for this album, and remember where you read it first! "After being introduced to hiphop-culture in the early eighties by Quincy Jones III and later possessed by the sounds of Eric B & Rakim, Run DMC and A Tribe Called Quest it’s easy to see why hiphop and rap-music came to be the first music released by Oscar Sharp (under his real name Oskar Skarp). But after having been involved in some of the most interesting Swedish hiphop- and soul-releases around the turn of the millenia, touring with and producing artists like Thomas Rusiak, Masayah, Fattaru, Ken, Ison & Fille, Fjärde Världen and others, Oscar always felt he was confined to rules and genres. And it wasn’t until he got his hands on the late, great J Dilla’s album “Welcome 2 Detroit” that Oscar decided to do his own thing and follow his dream of making an album without boundaries, genres, rules or regulations. An album based upon musical experimentation and guest appearances, with sounds from real instruments mixed with early digital-syntesizers and vintage, analogue equipment. This decision led him down a path quite unlike the one he envisioned and after some twists and turns, a few years misspent, a sudden career in another business and other events of serendipity, the end result of this almost decade-long journey is now ready to be released. The album titled “Oscar Sharp with Guests - Songs In The Tree Of Life” features artists from all over the world (USA, England, Brazil, Jamaica, Barbados, Senegal, Zambia and more) but most notably our (and Stevie Wonder’s) favorite UK-soul singer Omar and the legendary organist Bo Hansson (R.I.P), whom Oscar managed to get into the studio for the first time in over 25 years! As well as some of the most interesting artists and musicians living and working in Sweden, like Salem Al Fakir, Christian Walz, Simone Moreno, Desmond Foster, Thomas Rusiak, Christian Falk, Goran Kajfes, Rasmus Faber, Hearin’ Aid (Damon Frost & Aaron Phiri), Per “Ruskträsk” Johansson, Linn, Mika Snickars, and the list goes on and on.."
Most songs from the album are presented at the projects myspace-site, don't know for how long, so check it out NOW! Reggie B is a soulsinger/producer from Topeka, Kansas, with a warm yet spacey sound. He has that killer voice, plays funky like no other. His album 'The Traveler' will drop soon on INnatesounds. Here is is the first single, called 'She Knows' and produced by Busy. It’s a nice soulful track. On the album he will be working with INnatesounds crew members Lenny D, Miles Bonny and Saadiq from Platinum Pied Pipers. This album gonna be some wild stuff! 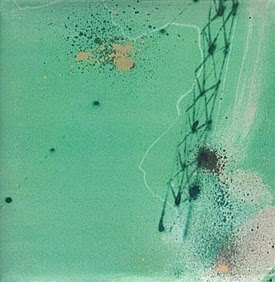 The other tracks we feel in this post is from Leonard Dstroy’s 'Higher Vibrations' album, which you can get HERE. We also have a track from Onra's 'Long Distance' album, that we've been talking some about. The joint is called 'High Hopes'. And the 'I Was Wrong' tune is from 'The Future Music' album, a project Reggie did together with Daru Jones, another great beatmaker and artist. Head over to his bandcamp site to pick up a lot of free stuff, especially the magnificent mixtape 'Spirit & Soul-Hop Sampler 09'. We wrote not long ago about Cee-Lo Green and his infectious jam 'I Want You' produced by Jack Splash. His album will be released later this year and titled 'The Lady Killer'. Here is the official first single, 'Georgia', which features the crooner showing love to his home state. Big tune! You can buy the song HERE. Legendary group Slum Village will release their 6th studio album 'Villa Manifesto' at July 29th via E1 Music. With the EP (shown above) getting some heavy play on the iPod, it’s nice to see these guys are readying the release of the long-play. This will be the first album from the group to feature vocal contributions from T3, J Dilla, Baatin, and Elzhi. We're thrilled to see so many songs featuring and produced by the late J Dilla. Guests include De La Soul, Little Brother, Colin Munroe, Dwele and Phife Dawg. Beats from DJ Khalil, Hi-Tek, Pete Rock, Dave West, Young RJ and Mr. Porter. T3 said: "I wanted to pull the whole squad together," explains T3. "The reason why we call it Villa Manifesto is that it was a statement we want to give our people because we had been away for so long. What we're doing, what's going on, how we're feeling and where we're at today." UPDATE: Another track leaked yesterday. A real souly tune with Colin Munroe on the chorus. This will be the first single. Album cover HERE. UPDATE 2: Great mini-interview with T3 about the album and that it possibly will be their farewell. Read it HERE. We got a heads up on this in our inbox some days back, special post for ya'll! Max I Million, 25 year old, producer from our hometown Stockholm. Been doin' stuff on the MPC for 15 years, but more substantial since 2006, and the result is 'The Maxtape'. Influenced by beatlegends Pete Rock, Dilla, Erick Sermon, the mixtape consist of tracks he's produced for the last two years, original joints and remixes, it features acts like Craig G, Planet Asia, Hygher Baby and Kev Brown.